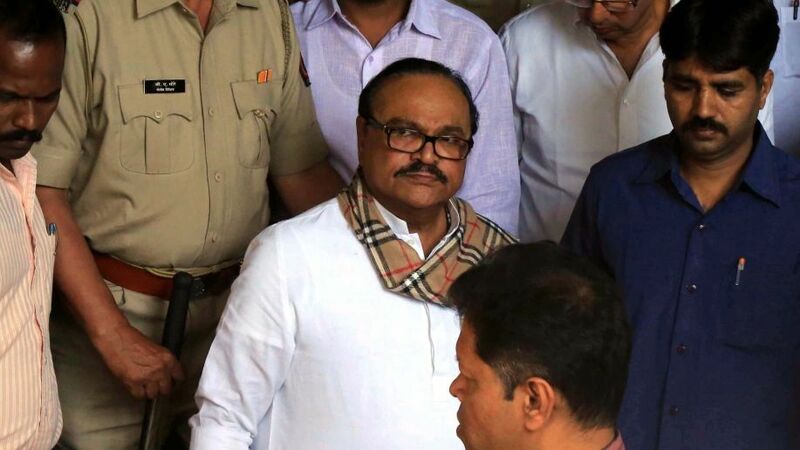 The Bombay High Court today granted bail to NCP leader Sameer Bhujbal, the nephew of former Maharashtra deputy chief minister Chhagan Bhujbal, in a 2016 money laundering case on grounds including parity with his uncle who was granted similar relief last month. Chhagan Bhujbal is the main accused in various offences, including the alleged Maharashtra Sadan scam, registered by the Enforcement Directorate in 2016.Justice A S Gadkari allowed Sameer’s plea on three grounds including parity with Chhagan Bhujbal who was granted bail by another bench last month. The HC also took into account that Sameer spent over two years in custody for an offence that entails a maximum punishment of seven years. It also considered the fact that section 45 of the Prevention of Money Laundering Act (PMLA) was struck down as unconstitutional by the Supreme Court in November last year. The HC rejected the arguments of the Enforcement Directorate (ED) which opposed Sameer’s bail plea contending that the apex court had struck down just a part of the PMLA section. The ED had urged the HC to consider that Sameer had served as a director in some of the companies named in the case and had therefore played a direct role in laundering of money. Appearing for the ED, Additional Solicitor General (ASG) Anil Singh argued that the SC had struck down only two of the several provisions of the section. The ASG said, “Watering down of section 45 applies only to schedule offences under the PMLA, and not to the main offence of money laundering while the Act deals primarily with the main act of money laundering. It categorises the offences related or connected to the act of money laundering into three schedules”. However, Justice Gadkari noted that the investigating agency had been unable to satisfy the court on the above point. The judge observed that the ED was expecting the court to draw out an inference by reading the provisions of the Act along with the facts of the present case. “Instead, the agency should have submitted documentary evidence to prove its point,” the judge said. Justice Gadkari also took note of submissions by Sameer’s lawyer Vikram Chaudhary that while the Finance Bill of 2018 included some amendments to the PMLA, it nowhere spoke of resurrecting the struck down provisions of the PMLA section. The provisions that were struck down imposed a condition on a judge hearing bail pleas under PMLA that among other things one could be granted bail only if the judge was certain that the person seeking relief was prima facie not guilty in the case. The ASG, however, said the HC must reject Sameer’s bail plea considering that the offence of money laundering was a “serious” one and that his actions had adversely affected the “financial health” of the country. Advocate Chaudhary, however, argued that since the ED had called Chhagan Bhujbal the “mastermind” in its chargesheet and since the latter had been granted bail, Sameer too deserved the same. Chaudhary also argued that Sameer was sole accused of 53 who is still in custody. The HC directed Sameer, a former MP of NCP, to deposit his passport at the special PMLA court and to make him available for questioning whenever required. The HC also asked him not to leave the city without its permission. Sameer has also been directed to furnish a surety of Rs 5 lakh to secure the bail. Sameer, Chhagan Bhujbal, and 51 others were charged by the Enforcement Directorate for various offences including the alleged Maharashtra Sadan scam. As per the ED, the uncle-nephew duo had awarded contracts related to construction and development works, including one for the construction of the Maharashtra Sadan building in New Delhi, to a particular firm in return for kickbacks. During his term as state PWD Minister Chhagan Bhujbal used to channel such money to illegal companies owned by him and Sameer, according to the ED. Chhagan Bhujbal was granted bail on May 4 by another bench of the Bombay HC. The former NCP minister had approached the HC citing a 2017 order of the supreme court that had struck down a part of section 45 of the PMLA that imposed stringent conditions for securing bail for those booked under the Act.